Here is what The Ultimate Swing Trainer® Program will do. 1. Teach you “The Secret” to distance. 2. Increase speed in your golf swing. 3. Always keep you on swing plane. 4. Teach you proper wrist hinge, lag and release. 5. Provide muscle memory in your swing. 6. Reduce your power loss. 7. Increase your flexibility and the length of your golf swing. 8. Help you learn the proper positions of the golf swing from anywhere. 9. Increase your strength in the muscles specific to golf. 10. Eliminate your “over the top” and “reverse weight shift” problems. 11. Increase your endurance to play longer on the golf course. 12. Helps make your swing more automatic. 13. Increase your confidence to play better golf. Learn all of those and more, PLUS with our Step by Step Training Guide you can play the best golf of your life and rip it past your partners! We have the Solution! * No longer be the first guy hitting into a par 4. Finally, reach the par 5 in two! * Hit your shots farther than ever before! * It is completely portable. Take it with you on vacation, to the course or practically anywhere. 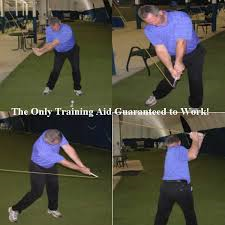 * You create an automatic repeatable golf swing! 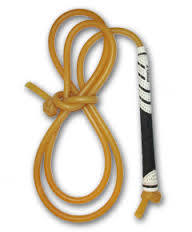 * Use it before and after rounds to increase your flexibility. * Become straighter with perfect positions of the swing. * Become the big bomber off the tee in your group! The Ultimate Swing Trainer® will help you!